Praise God! I am so glad to be here with you again. Dear ones, we take the every-day things and the every-day blessings of God for granted so much. We take for granted our abilities to go and come, and to do and not to do. We rejoice in that type of freedom that we have, and never really think about the blessings that we enjoy, how it comes about. We never really think about the covering and the protection that God gives to us; the very breath that we breathe. I remember, after I was attacked by malaria and after recovering, that when I made it to the meeting for the first time I found that I could not sing! I tried, and I could not sing! And it really touched me, and I said, “God, this is a privilege that You have given to glorify Your name. Don’t let me be robbed of this!” And I just held on to faith, and sang! And it came stronger and stronger and stronger and stronger. I tell you, every time now that I open my mouth to sing, I praise God! I praise Him for the privilege. I praise Him for the deliverance. I praise Him for the blessing of each day. Do not ever forget that. When you get up in the morning, do not say, “Oh God! Another morning.” Say, “Thank God for today!” “Thank You God for today. I have come to do Your will!” Praise God! We are not our own; we are bought with a price, therefore glorify God in this temple. Praise God! The Lord has been speaking much to us about “inheritance” and “possession.” We are not just bought by the blood of Jesus to escape hell. I remember one girl saying to me, “If I can just make it with one foot into heaven, I will be satisfied.” I pitied her condition because she did not realize the purpose for which Jesus came—the purpose for which she was saved and delivered from the wretched condition of the world—or she would never had said that. She would say, “I will run with all my might! I will make distance between me and that thing I have left there and this that I have seen.” But I praise God, and I hope that wherever she is now, she is saying something different. God has been speaking to us much about inheritance and possession. Esau did not care very much about his inheritance—he sold it so lightly. God, however, is saying to us now that we have received an inheritance that is incorruptible, and the Word says we should “…earnestly contend for the faith which was once delivered unto the saints” (Jude 1:3). This tells us that from that time, the faith had been under attack. The Christians were under attack, the enemy had moved in and had begun to rob them of that faith that was delivered to the saints. I think we are at the same point at this time, when we have to contend for the faith that was once delivered to the saints. There are so many voices, there are so many things floating around, that many times I see people confused; but the confusion comes because of lack of letting your roots deep down into Christ. We cannot abide as shallow Christians; we have to sink our roots deep down into Christ, so that we can stand, and that we can have the fortitude against the storm, and the tempest, and the temptations from day to day that attack our soul! Our inheritance is in Christ Jesus, and we have to lay hold of it. We have to make sure of our inheritance that we do not sell it [as did Esau], but that we HOLD FAST to that which has been ministered to us and given to us by the Spirit, that we be not robbed. The enticements, the things that come to rob us—because the Word says (in Ephesians 6:12) that, “we wrestle not against flesh and blood, but against principalities, against powers, against the rulers of the darkness of this world, against spiritual wickedness in high places.” That means that there are things that are more powerful and greater than we are able to handle by ourselves, and it would be impossible to manage unless we lay hold of faith and hold fast to Christ, and by the anointing of the Spirit overcome the temptations and the different things. We must lay hold of the inheritance and the possessions that God has made available to us! Without fear! Because, if you remember, there were certain things which disqualified some when Gideon was leading the army into victory, and God began to sift out of the many who were with him at the first. He said, “Those that are afraid….” Those who were afraid were the first ones to be sifted out, “…And those who have their hearts and minds on business at home.” Because you cannot serve two masters—you have to be sold out! The final test was given to those who lapped the water, and God is now doing a sifting and eventually, by a simple process …just breaking the vessel that the light might shine forth. It confused the enemy, threw them off guard, and gave the people of God the victory! Praise God! God is doing a sifting, and we must be ready. We must be watchful. We must be diligent, so that we can be numbered among those who God is choosing at this hour for the final victory. Praise God! “Enter into Canaan. Possess your possession, and I will go before you, saith the Lord. The city walls are high! But you shall see them crumble. The giants may be tall, but you shall see them stumble. Now, he is speaking to us as the Church. It is to the “called out” ones! It is where we are supposed to be! It is what we are supposed to be exercised in! It is what we are supposed to be walking in, day after day! This is not giving license to anger. I do not know, I have often thought of it—how can a person be angry and not sin? Because anger is a fruit of the flesh! Anyway, it says, “be ye angry and sin not….” Do not give way to the spirit of anger that comes upon you, but rather rebuke it. Yes, I saw a vision this morning of two people standing—like one here and one there. And there was something between them that they could not come together. They could not come together, and I knew that it was a situation that existed among us; and so, if there is one person in the building, or in the group, or among your family, that you cannot freely from your heart greet and meet with that feeling of love and oneness, make it right! Make it right! Make it right, because unless that is made right, it says that up here, about your heart, there is blindness in your heart. Keep the channels clear. Husbands and wives, keep the channels clear. If you do not keep the channels clear, your whole family suffers. Your whole life is in trouble. Keep the channels clear that God might bless you, your family, and the Church! Whatever happens at home, the Church is affected; and that is why God in the Word gives certain qualifications for elders in the Word. I believe the elders should read the qualifications in their home—constantly—that they might be reminded of the responsibility that they have before the Lord. And not just come to church and be called an elder. It is a great responsibility. There is a great responsibility as a husband and a father, and our brother laid out to us here the true situation, that unless there is that freedom and oneness and truthfulness one to another, then your light is dulled and your life is no longer a shining star that will give light and life. 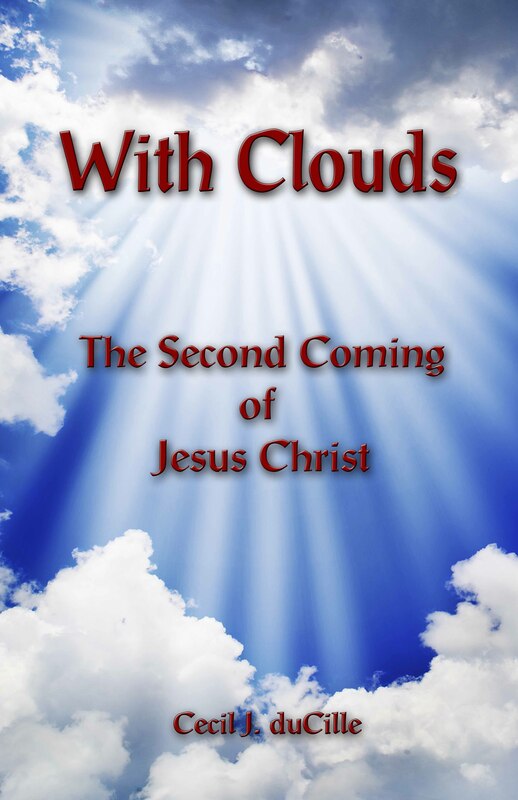 So we thank God that He has laid it down in this book that everyone can read. It is something that everyone can read, and so in Romans 2 it says, “Therefore thou art inexcusable Oh man….” If you want to find a word for your life, for your marriage, it is here in this book. If you want to find a word for your children, it is here. If you want to find a word for the stranger, it is here. If you want to find a word for your work place, it is here. You tell me anything that you want to find that you could not find it here in this book! And so we are inexcusable. We will be more judged than any other people, because this Bible—God has seen to it that it be distributed to every quarter, to every place. And when He says that the kingdom message will be preached to all the world, it will be that no one will be able to stand before God and say like Adam said, “The woman you gave me….” There is no excuse! Absolutely none! God has made it possible for everyone. I notice that even the little children are responding to the Word. They raise their hands as you speak about Jesus. A light comes into their eyes! You watch it, even the little children are responding! God is doing a work, God is stirring His people, and God is going to use us—if we submit to Him! So we must be careful how we handle the things of God, the things that God has made available to us. How we treat it, how we behave one to another. Another thing that God has been speaking to me about is that the Church is going to be responsible before God for the respect or disrespect that the younger people show to the older people. The Church is going to be responsible before God, and so, mothers, fathers, watch how you teach your little children respect and love one for another, especially for the older. Praise God.